Don’t you just love spending half of your disposable income on energy? No? Well you’re not alone. Millions of Americans could be saving money right now and have a little extra left over in the bank at the end of the month to spend on something nice. It’s such a shame, because all it takes is a little planning and investment from you. Once it’s done, you’ll be getting paid back for years to come. What does this mean? Zoning is where the heating in your house is split up into different zones. The idea is that you can pick and choose which parts of the house get heated, and which don’t. In the UK, it’s actually the law to get your house heating zoned. That’s probably because of how wet and miserable it is over there in the winter. Zoning your home can help you to save on energy bills by optimizing air-flow and heating only the rooms you need. Which came first? High energy bills or the energy-efficient appliance? I don’t know. They probably emerged together. The point is that a highly energy-efficient appliance might be able to net you a saving of $50 a year. If you converted all your appliances, this could rise to $250. If you need to replace any of your old appliances, make sure you check the energy rating. Getting something efficient will shave dollars off your energy bills now and years down the line. Don’t forget, it’s not just large appliances that are costing you a small fortune. Things like switching from a PC to a laptop, or changing out your old kettle for a new one can help you save on costs. These babies are a great way to smooth over the seasonal variation in your energy use. This is especially true if you happen to live in a place that’s too hot in the summer and too cold in the winter. Yes, I’m talking about you, New Yorkers. Get a heat pump. I know it’s a bit of an expense up front, but in the summer you can use it to cool your home, and in the winter you can use it to heat it. There are HVAC services all over America to carry out the work. Dads love the thermostat. It’s true. If you’ve not gotten yourself a programmable one yet, then now’s the time to get one installed. They’re usually relatively inexpensive. And they have the added bonus of being fully customizable. 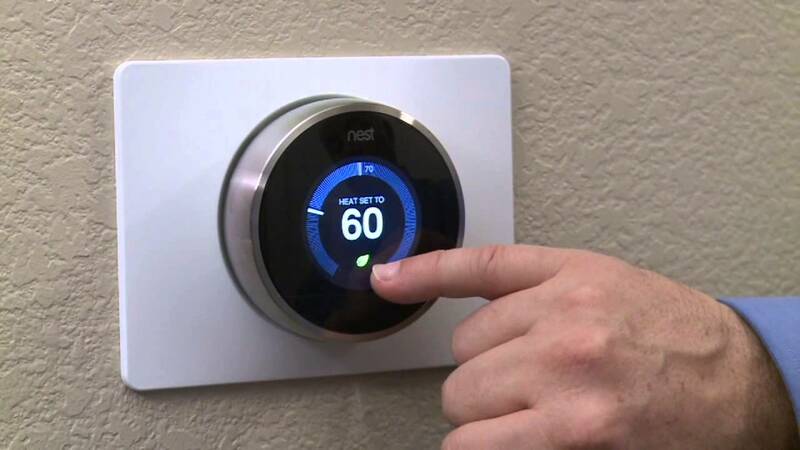 If you can preset the times when the heating comes on, and how warm you want your home to be, you’re going to be able to better manage your bills. If your house is an old build, this is probably its achilles heel. Little gaps under doors, around skirting boards and between the window and the window frame will allow hot air to escape. As the air escapes, new cold air from outside is drawn in. Even if you’re in a new build, you’re likely not immune from this problem either. If there are obvious gaps you can get them sealed up with duct sealing. It doesn’t sounds like an elegant solution, but when you see it finished, it’s actually quite discreet. More importantly, it does the job. Energy efficient equipment help a lot to save the energy. Thanks for the feedback, Cindy. A heat pump is definitely a way to help save a lot on energy. Since we installed it a year ago, I can say that we have saved a big fraction on energy costs. The initial costs might be expensive but really worth it in the long run.